Ramsay Highlander's newest product launch, the Mechanical Harvester. 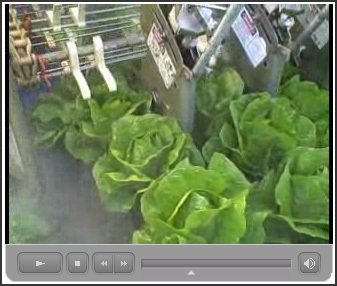 Designed to harvest Romaine, Green Leaf and a version for Iceberg and many other commodities. Utilizing Ramsay’s patented Waterjet cutting method this harvester increases yield and product shelf life while reducing labor. Having an individual high pressure water stream for every seed line allows you to independently adjust cut height for uneven beds. This harvesting method is the way of the future because of it’s increased yield, it’s natural sanitary cutting method, and it’s ability to negotiate uneven beds. It consumes less than 1.5 GPM of water when harvesting 6 seed lines and has a 325 Gal. reservoir with quick fill attachments. If you have unpredictable field conditions, this water jet harvester provides a labor saving harvesting solution.